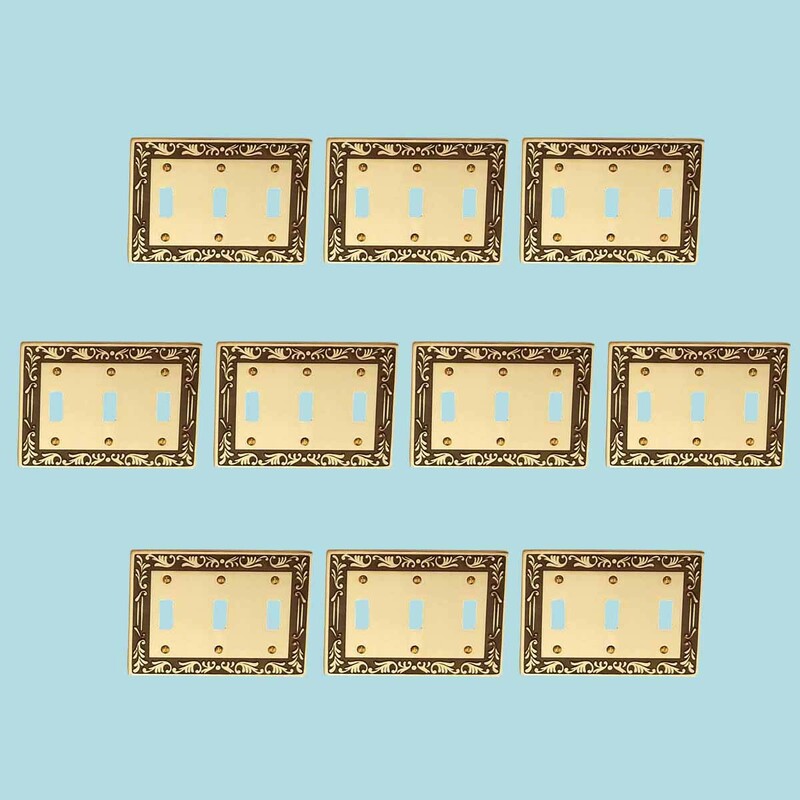 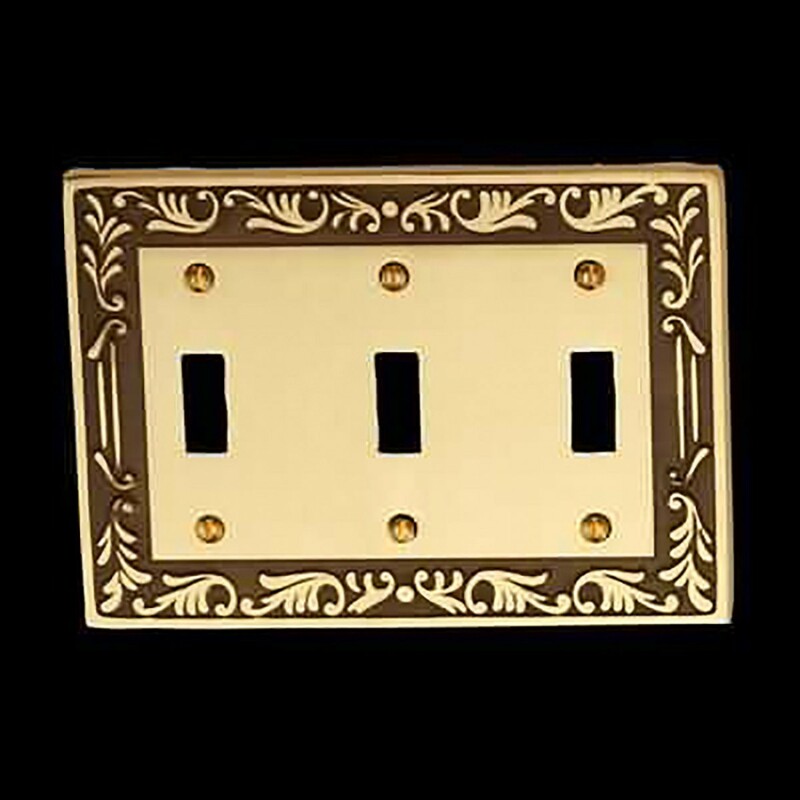 (10) pieces Triple (3) toggle, three (3) gang switch plate. 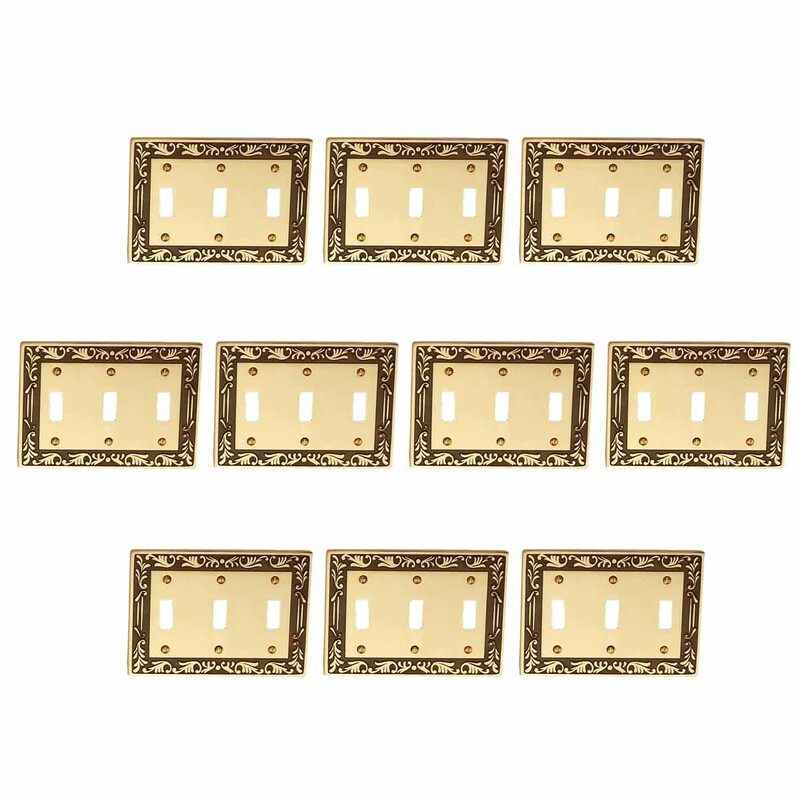 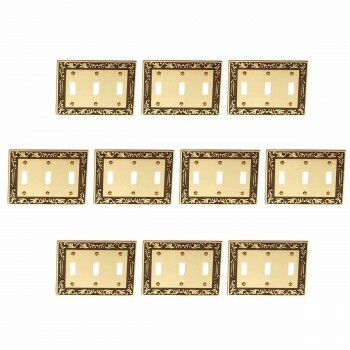 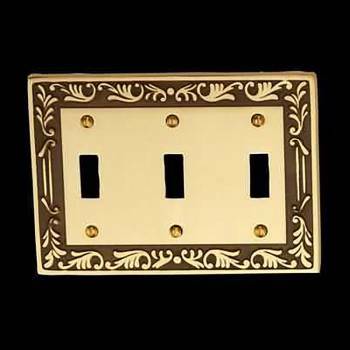 This elegant decorative Victorian solid brass wallplate features an antique brass finish. 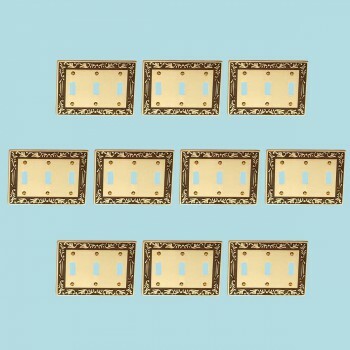 Mounting screws are included with your decorator wallplate purchase.